Personal injury cases and settlements can take months, sometimes even years to be resolved. Depending on the merits of each case, negotiations with insurance companies and pre-trial gathering of evidence can take longer than most people anticipate. Sometimes the courts are so busy that we have to wait longer than usual to be assigned a trial date. 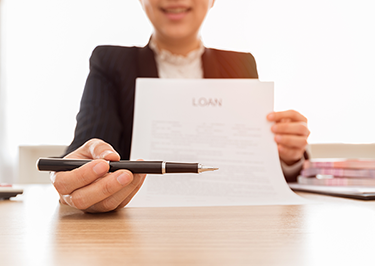 In certain, limited circumstances our Firm can help provide you with a loan to provide you with the financial relief you need while we work on your case. Whatever the delay might be, your life should go on and you should be able to provide for yourself and your family. In the meantime, you should feel assured that we’re diligently working on your case. The personal injury loans provided by our Firm are used to pay for a client’s daily living expenses and rent necessary to keep a roof over his or her head. We provide these loans to help clients from falling into financial ruin as the result of the insurance company’s refusal to be fair. No one should have to go bankrupt or spiral into unmanageable debt because of medical bills, the costs associated with missing out on work, or being injured after an accident. If your case qualifies, the loan we provide will be repaid from your settlement proceeds — and if we don’t recover money from your personal injury case, you’re not obligated to pay us back. Unfortunately, we unable to provide loans to all of our personal injury claim clients, but we do for cases that meet our Firm’s personal injury loan criteria. If for some reason we can’t provide you with a personal injury loan, we can refer you to other organizations that may be able to help, but we make every effort to help each and every one of our clients to our full potential. How do I know if I meet the criteria for a personal injury loan? We can’t offer a personal injury loan to anyone that’s not our client, so before we can discuss a personal injury loan with you, we’ll have to talk about your case and you’ll have to decide if you want us to represent you in your personal injury case. Once you’re officially our client, we can talk about a personal injury loan and do everything we can to provide financial relief while your case is pending. We can’t offer loans before you’re our client because we don’t want to entice injured people to become our clients; instead, we want to sit down and talk with you about your case and give you a range of options that could work for you. We’re more than happy to look at your individual situation and determine the soundness of your case and your current financial obligations. The process is not complicated, but we will review your case and financial situation carefully to ensure we can serve you as best we can.